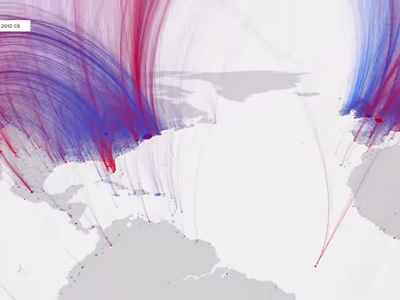 The authors used the birth and death locations of over 150,000 "notable individuals" to quantify human movements and identify the rise and fall of cultural centers. Some locations end up being major "death attractors", such as Hollywood. 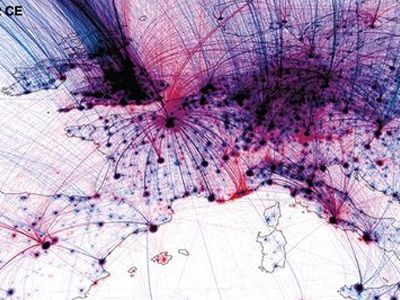 The network of cultural centers represents a bird's eye visualization of cultural history. The lab also developed a video depicting the rise and fall of the cultural centers over time.